By Melissa Lennig on September 20, 2015 18 Comments. This content contains affiliate links. As an Amazon Associate I earn from qualifying purchases. 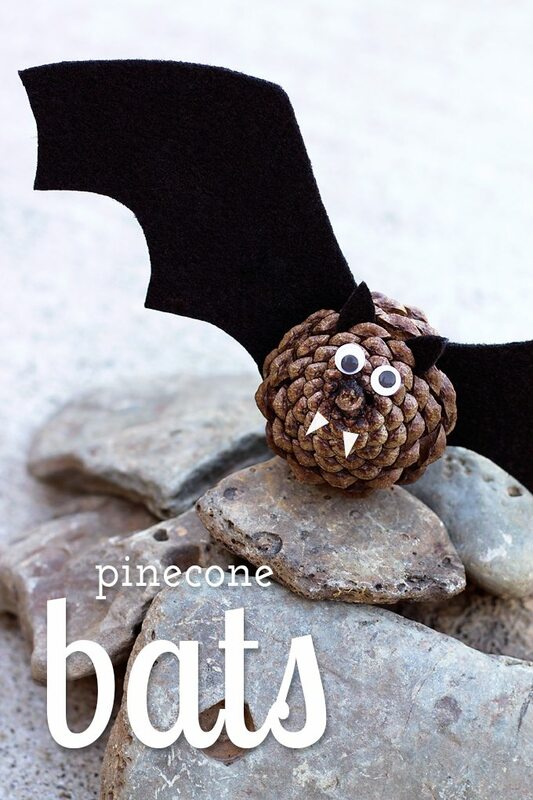 Black felt, pinecones, and wiggly eyes are all kids need to create a small colony of creepy-cute Pinecone Bats! 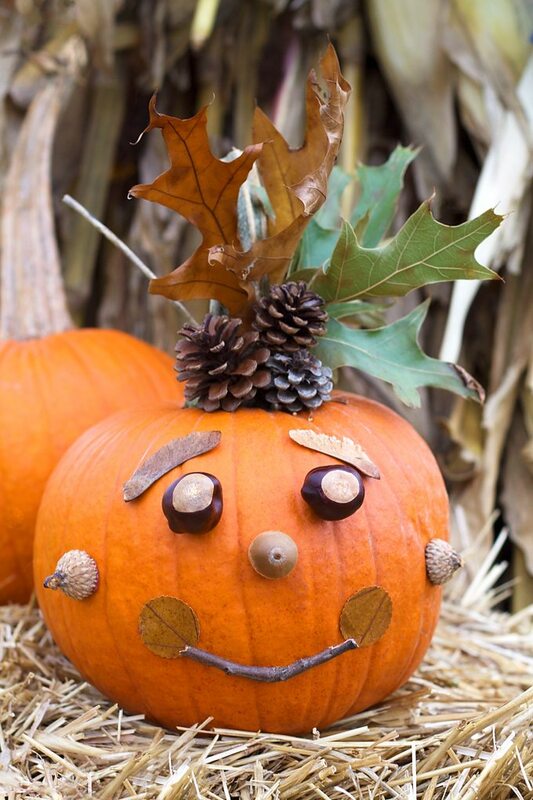 Children of all ages will enjoy this simple and easy nature craft, perfect for fall. Next to penguins, bats are my little one’s favorite animal. This past summer, he was very excited to see them “free and in the wild” (sometimes he talks like he’s the third Kratt brother) feeding over a field at dusk. This craft thrilled him! Cut a set of bat wings from the stiffened black felt. Slide the wings into the pinecone, then secure with hot glue. Snip a couple of bat ears out of the felt scraps. Slide them into the pinecone, then secure with hot glue. 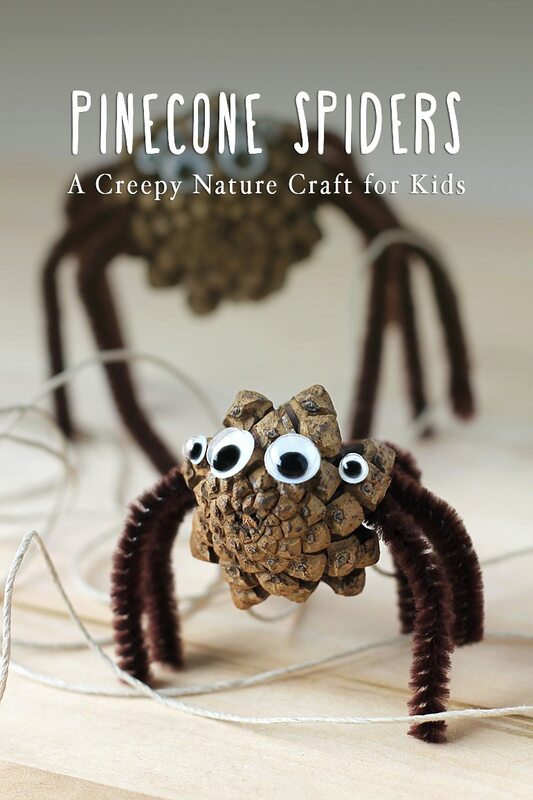 Attach the googly eyes to the pinecone with a dab of hot glue. If desired, snip two little fangs out of white card stock (I just used junk mail!) and attach them with a tiny dot of hot glue. Wouldn’t it be fun to experiment with using twine or fishing line to hang the bats from windows, wreaths, or trees? 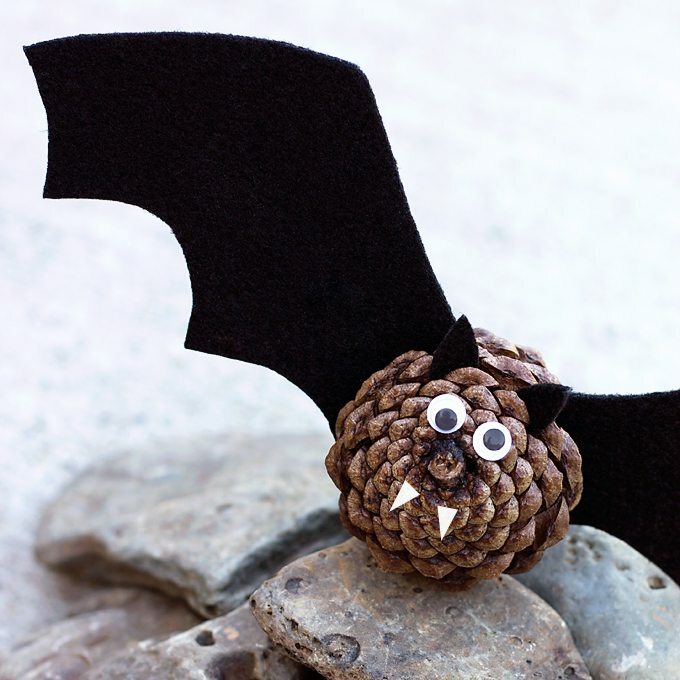 Click the images below to view more Halloween nature crafts for kids.